One of the best ways to beat the heat in Utah during the summer is with your very own in-ground swimming pool. A new pool can also increase the value of your home, which means you can recoup most (if not all) of the cost a building a swimming pool when the time comes to sell. To make sure you end up with the best final product, here are some tips for designing a new swimming pool with your Salt Lake City pool builder . maintenance budget. 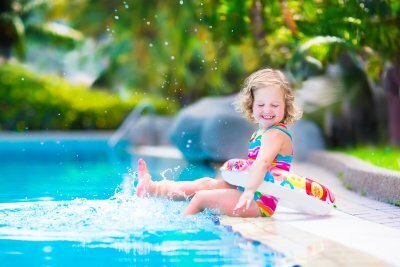 How much you can afford to spend on maintenance and upkeep will help you select the most appropriately sized pool, since larger pools tend to require more maintenance and have higher operating costs. Before you decide on the size and dimensions of your new swimming pool, you must first determine the size and dimensions of your backyard. It’s important that you design a pool that is appropriately sized for the space you have available. You also need to factor in space for a deck, patio, fencing, outdoor fireplace, and other desired features. Speaking of additional features, take the opportunity to remodel your entire outdoor living space while designing your new swimming pool. Some pool companies in Salt Lake City provide additional landscape and hardscape design and installation services. Whether you want a simple outdoor fireplace or an entire outdoor kitchen, there’s no better time to design the backyard of your dreams while designing the swimming pool of your dreams. Near Salt Lake City, many of the fiberglass pools installed with different homes are functional but look very plain. 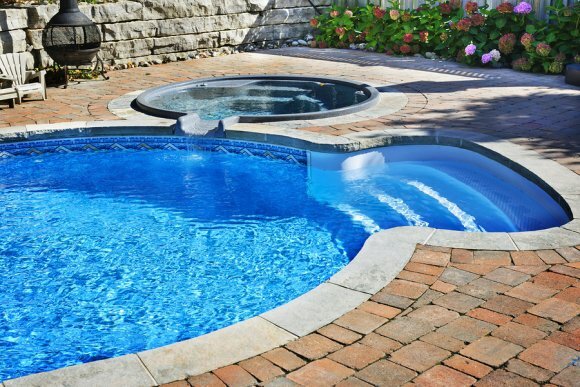 If you are considering hiring a pool contractor to do a pool or hot tub installation , consider adding a decorative or utilitarian feature to your pool. Features like pool covers do not need to be cumbersome or unsightly; they can be hidden in the design so that they are easily retracted and extended when you need them. Even relatively small pools can incorporate water features such as fountains or waterfalls, or a pool slide for the kids. Watch this video to get a closer look at one pool design idea that incorporates a retractable cover, a water feature, and an infinity edge. skimmer baskets and filter, possibly damaging the pump. A pool contractor will skim the surface of the water, vacuum the bottom of the pool, clean out the skimmer baskets, and check the filter to remove all debris and make sure that your pool is clean. A balanced pool needs to be within a certain range of pH level, total alkalinity, and calcium hardness. If the water is too acidic, it will be corrosive, and if it is too alkaline, it will be scaling. Depending on usage, rainfall, and many other factors, your pool can easily fall out of chemical balance. 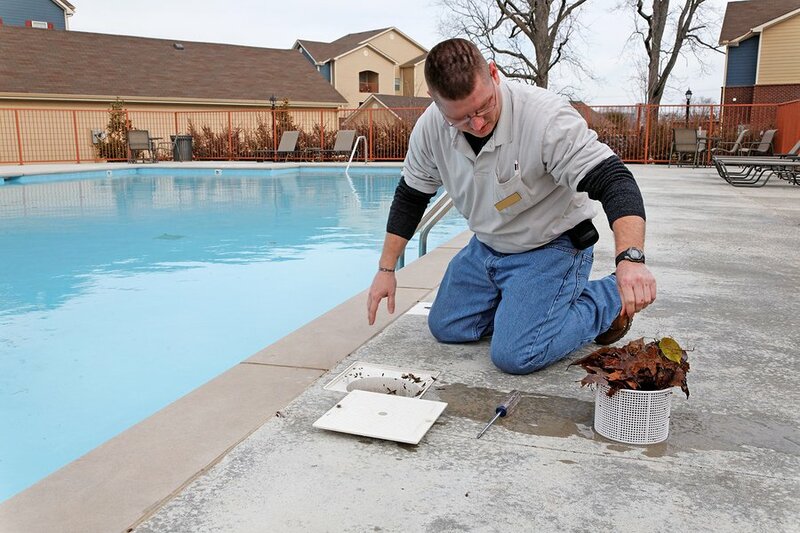 A pool contractor will test your water as part of routine swimming pool maintenance during each visit, and add chemicals and treatments as necessary to ensure that the water is balanced and safe. A pool is much more than simply a hole in your yard filled with water. Standing water would quickly become a stagnant breeding ground for algae, bacteria, insects, and other tiny organisms. The chemical treatments in your pool help avoid this, but there is also a pump that circulates the water to help keep it clean. During routine maintenance, a professional will inspect the pump, as well as the intake and return valves, to make sure that everything is functioning correctly. Many homes feature in ground pools near Salt Lake City , and many homeowners decide to install them because summers in Utah offer perfect weather to enjoy a pool. When you meet with your pool contractor, you should be aware of the special design features you can incorporate to make your pool much more attractive than a simple rectangle in the ground. A simple, elegant water feature such as a tiny waterfall at one edge will add visual interest to your pool and won’t require any extra swimming pool maintenance. Other features such as laminar jets are flashier and more eye-catching, and they add a lot of excitement to the design. Make sure you talk to your contractor about adding these before swimming pool installation begins. Many homeowners install colored lights in the pools, which turn them into sources of soft illumination at night and also increase safety. If you have kids, active features such as pool slides can add a lot of fun to your summer afternoons.